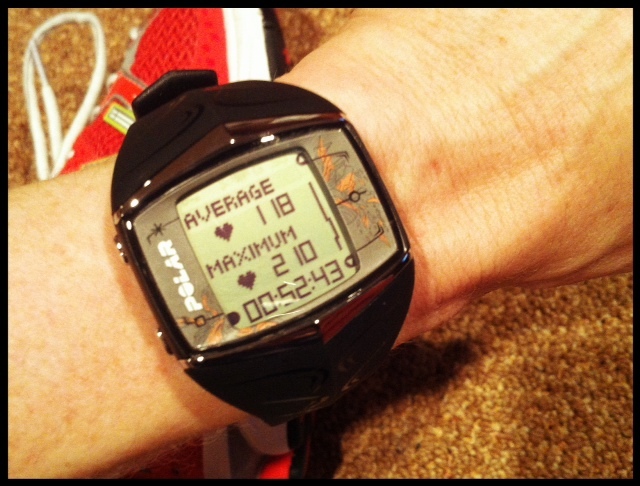 My POLAR watch helps me keep track of my HR throughout my workouts! This piece, paired with a band that goes around your chest – tracks your HR while you’re in motion! Ever try to Google what a workout is worth in calories burned? Early on, I did this often… I wanted to know just how many calories I was getting rid off for the time put in! I realized quickly that the numbers were inconsistent because the variables change. I wanted to believe it was 300-350 for level 3… but could that be possible? A new challenge sounded fun… and I wanted to try it. I figured it could be fun and I could mess up the moves in the privacy of my own home. I had friends that had tried it, and really liked it – but they encouraged me to get a HR monitor also – so I could compete with myself on calorie burns, etc. on the workouts. I was in the for the challenge and ordered my set! Well, unfortunately for me, that prideful attitude didn’t realize my body was going to be stepping down another few notches… and the workout became VERY difficult for me. IT wasn’t because the workout is more difficult… but because my health was worsening, and I really was noticing. I was no longer able to constantly move for 30-40 minutes without breaks. I was struggling to breath, and keep up. 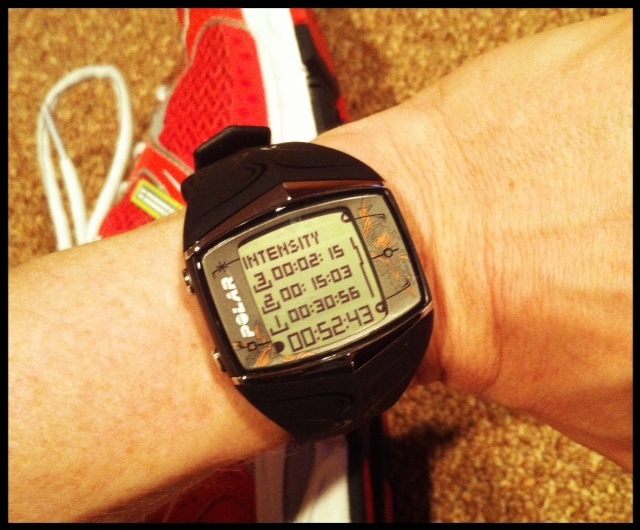 I dreaded working out, even more… so I took a little break from TURBOFIRE for a bit, and recollected my thoughts. I originally planned to deviate from the program SOME, and do what I wanted to – in-between my other cross fit type workouts. I felt badly I was unable to complete (without slowing down, taking breaks or stopping) MOST of the workouts because they’re so cardio based, which was suddenly my weakness. I actually felt better when I just did 20-30 minutes of Bob, but I missed my cardio too … I didn’t want to give up on keeping my body moving. I needed encouragement, and my NEW Polar Watch does just that!! Here are my totals after a 45 minute TURBO FIRE workout. I definitely burn more calories with Bob, but it’s good to get in some HIIT cardio too! 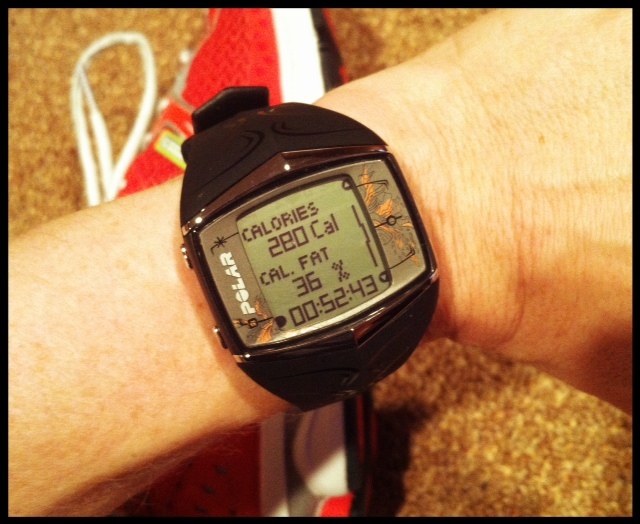 I liked seeing that although I burned over 400 calories with a 45 work out – it was only 9% fat calories…. versus when I burned 250 calories with Bob, it was almost 40% fat calories!! That’s quite a difference, based on the type of workout – and it’s good to know. I no longer feel so badly about not doing tons of cardio right now… not to mention it’s just plain hard for me to carry out on a daily basis, with the intensity I once had. I do it when I can, and the other days I’m happy burning some fat at a faster rate with TEAM BOB. I love that it shows me my target rates and goals each week. It tells me where I’m needing to push more or keep my HR in a little different range. So far I’ve mastered 1 and 3 – but struggle with in the middle. Huge surprise for an extremist! Do I feel like working out? Actually – most of the time… I don’t. Most of us probably don’t…. but I did really used to LOOK FORWARD to working out, if nothing else – for stress relief. I rarely feel that way anymore. It’s really hard… and I’d like to curl up into a ball. But God is reminding me that something is better than nothing, and just to do what I can. I have still been fitting in 4-5 workouts a week most weeks, so I’m grateful for that. They are probably HALF of the intensity of last year, if that… SO while that’s a little frustrating, I feel confident I will get my strength/endurance and energy back to some degree – and I’ll be welcoming it with open arms. **If I may, ask for specific prayers this week… In the coming 5 business days my slide will finally be reviewed at the University of Chicago. Please pray with me, intentionally, that the pathologist will clearly see the celiac damage – so that part of this journey can be put to bed, as we wade through this next part for more answers. I know I don’t need that piece of paper to tell me what I already know – but for the sake of it helping others avoid the mistakes that were made to my case… I’d like doctors to know… THIS is one of the major reasons why it’s being under diagnosed. Posted on November 17, 2012, in Metabolism, Our Struggles, Truth. Bookmark the permalink. Leave a comment.